This War of Mine is a game that puts the player in command of a group of survivors during a modern era war – this circumstance drives characters of all sorts together while you pilot their survival by scavenging for food, water, weapons and, of course, reminding them to eat and telling them to build things integral to their survival. If this sounds a little bit like The Sims meets a real time strategy game, you’d be correct…except, replace all of the whoo-hooing with crippling depression. That knocking on the door isn’t the post office. 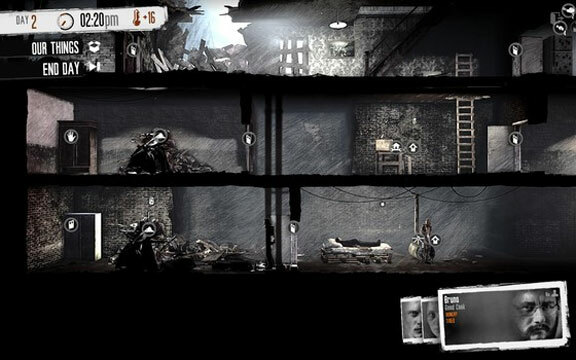 This War of Mine is one part resource management simulator with life simulator elements, another part 2D sidescrolling exploration and stealth game. Set in a war-torn city, besieged by active military operations, military deserters and looters, players must assist a group of vagabonds who have gathered together to survive to the war’s end. 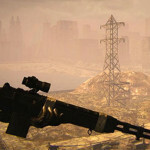 Mortar shelling and sniper fire are commonly heard sound effects over the game’s simple, calming music, especially during the day time. 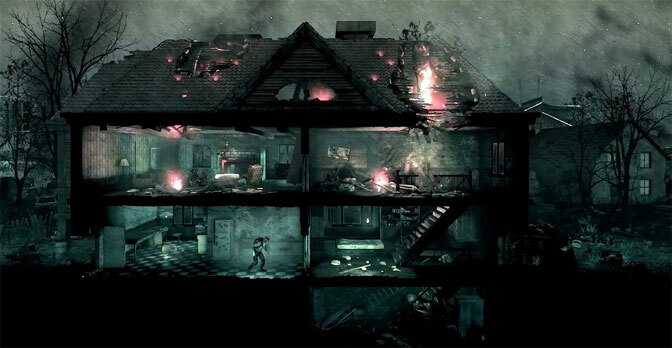 The playable characters in your charge gather in a dilapidated house, rubble scattered all about the living spaces. This shelter is barely something they can live in at the onset of the game, with gigantic holes in the walls that practically welcome looters to raid your inventories. 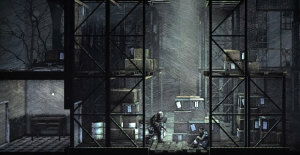 Due to the active military operations, players have the option to fortify their shelter during the day as well as rigging together basic amenities for day to day living, such as a stove to cook food or a heater to warm them and prevent the group from falling ill. During the night, players are able to take a single character and hunt through the city to bring back more supplies, like food and building materials. Some people will bond together and offer to trade with your scavenger, while others will shoot you on sight: Knowing when you’ve grabbed enough from a location and when to hightail it back to your hideout is a key element of playing This War of Mine. Most of the characters that are generated for you at the beginning of the game are not combat-experienced soldiers, nor were they prepared for the events that unfolded before the start of the game. 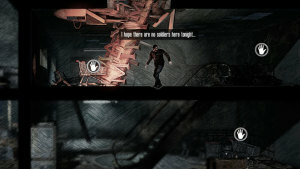 Each character in the game has their own personality and special trait, such as Marko being a skilled scavenger, meaning he has more backpack slots to collect items while out and about with no negative, or Pavle being a fast runner, which is self-explanatory. Some traits can reduce the ingredients needed to create moonshine or food, like Bruno’s good cook trait, while Marin’s handyman is the same, except he needs fewer materials to build items in the shelter. Each character seemingly brings something to the table, but they also each have their own morale threshold. An accurate picture from a country shredded by war. 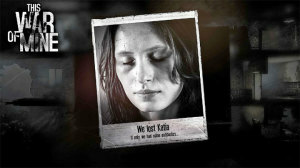 In This War of Mine, players will have to make some choices in order to actually make it through to the end of the war. 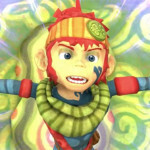 Some characters don’t mind stealing or even having to occasionally kill someone, while others will, unless their spirits are brought up, spiral into depression and commit suicide. As an example, there’s an elderly couple that still has their home intact early in the game, replete with a fridge full of food items, among other things in the home. Stealing from this house but leaving the couple alive is all well and good, but may potentially leave several of your characters sad. Going back a few days later, however, the elderly couple will be dead in their bed, which may be even worse on your group’s morale. Of course, if you really need the food and other materials because you’re unable to find a weapon to go into the more dangerous zones, then you have to weigh your options. Of course, there are things to cope with the depressing state of matters in This War of Mine. Guitars, radios and even just having books around can keep your group’s morale up so that they may be able to see the light at the end of the tunnel. The feeling of impending loss is almost always around the corner, as your group will start off hungry, wounded or sick, without so much as a bed to sleep in so as to recover. The first few days will most likely consist of breaking apart rubble and searching the house for building materials to create makeshift beds, patch the walls, filter rainwater and even create traps to catch rats for food. 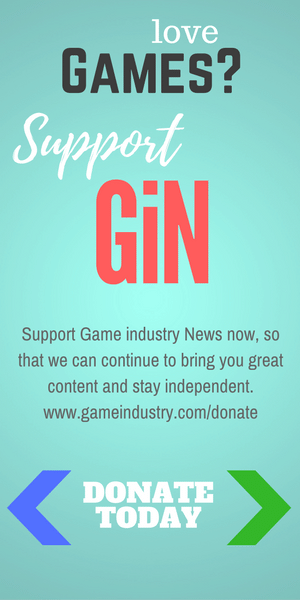 A moonshine distillery and garden can be made, which can aid you in getting alcohol to drink and forget troubles, or distill the moonshine down into pure alcohol to craft medicine using herbs from the garden, all of these items being useful for survival or bartering to get items useful for survival. When things go bad the underground is always the safe place to be. Of course, this is assuming you’ll immediately find the resources you need, which…you won’t. Once the day cycles away into night, players will have to scour the artillery-battered city map in search of more supplies and resources. Each location has its own interesting gimmick – while the elderly couple above is a good indication of this, there are also decisions such as stealing from churches, hospitals or even trying to quietly loot as much as possible so as not to alert the bloodthirsty military deserter to your presence, since he’s preoccupied forcing a woman to spend the night with him (the opposite is also true: You can storm in and save people who are in danger and even be rewarded for it, but unarmed versus an assault rifle is not a good gamble, much of the time). Sometimes, things can go well in This War of Mine. You can have plenty of supplies and even have the next couple of days mapped out on exactly what you want to build next for your shelter…then comes a raid and you lose some of your precious supplies. Outsiders sometimes attack your makeshift residence, as you do theirs, and can take hard earned items from your inventory and even injure your survivors. Raids occur while you, the player, are out at night with a scavenger, so sometimes you may find great news that you have found that last electronic component to make the heat lamp you needed for the indoor vegetable garden, but while you were away several of your components were taken and now Pavle is severely wounded. Like The Sims, you can’t leave a lot to chance or trust that they’ll take care of themselves, so the best way around this is to fortify the walls of the shelter and keep a guard available to fend off possible attackers (a quick hint if you run into troubles with raiders: Leave at least one cabinet in your shelter unscavenged so that you can store important items in it. 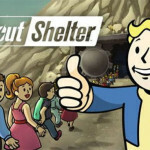 Raiders only steal from your inventory, and cabinets in your shelter are not part of that, though this will most likely be patched at some point). This is the ideal place to scavenge supplies, as long you stay hidden. Other times, during the daytime, people will come to your door and ask for your help. Requests from sick couples or mothers to help fortify their home because there have been looters going around at night and doing whatever they want in the area. When these choices present, players can opt to send one of your own to go assist the NPCs, sometimes gaining rewards, or at times they all get wiped out and then the character you sent doesn’t come back. Turning away children begging for food can further deteriorate your party’s mental states, pushing them from sad, to depressed or even suicidal, but sometimes it can be hard to spare when you only have enough for the current day, yourself. Good deeds can often pay off in the future, with what used to be an old, sick couple returning to notify you that they’re all better, leaving the city and give you weapons, food and ammunition, but those pay offs can take weeks to arrive. The risk versus reward is entirely up to the player and random number generator. Cobbling together enough resources to finally be able to provide your characters with cigarettes or coffee can seem like unachievable goals, but once you reach that point a sense of accomplishment will just wash over you as those things can greatly distract your group and keep them from ending their lives. Scrabbling across areas in search of various goods can be dangerous, but rewarding. Combat is essentially point and click at the proper time, though little more than one or two bullets is all it takes to end the life of your scavenger, so staying out of combat, or hiding and then backstabbing hostile foes, is often more preferable. 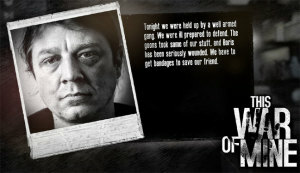 Now, This War of Mine isn’t without being a little rough around the edges. Sometimes the user interface will just completely disappear- you click on a storage container, take the items out, but when leaving the inventory menu all of the interaction buttons suddenly disappear while leaving the, “Run to Exit” icon intact, for example. This seemed to happen to several players on at least one occurrence, though it does not happen all that often (in about 15 hours of play it happened twice, personally). Other confusing moments were things like guards in the hospital suddenly turning hostile for no reason at all, or the radio sometimes crashing the game outright. Most likely these bugs will be addressed, and thankfully This War of Mine saves every day so when something happens you don’t lose too much progress. 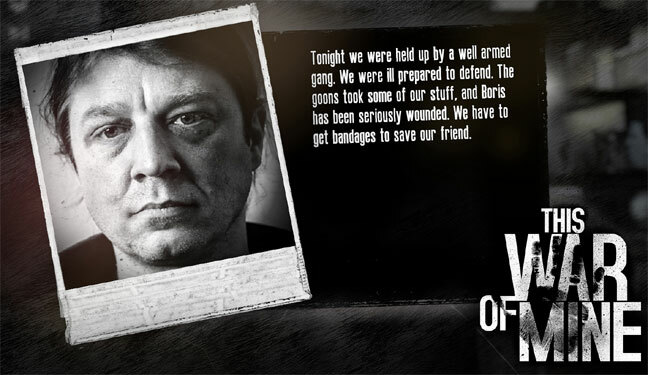 To summarize: This War of Mine is a solid indie game that functions on a strong risk vs reward system, or morality vs mortality system if you are so inclined to call it that. 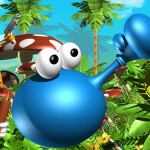 Players can be actively influenced by the sad state of the characters, causing them to react in ways they normally would not. Not exactly the longest game around, This War of Mine excels by having players experience the game different ways each time, as layouts of locations in the game can be different and sometimes the survivors you meet are likewise divergent from the last play-through. All of these little experiences mix into a delightful cocktail of an addictive game that keeps you playing until you make it, or you’re trying to make it with your last survivor. Not exactly a game for everyone, but definitely worth experiencing should any of the above interest you.